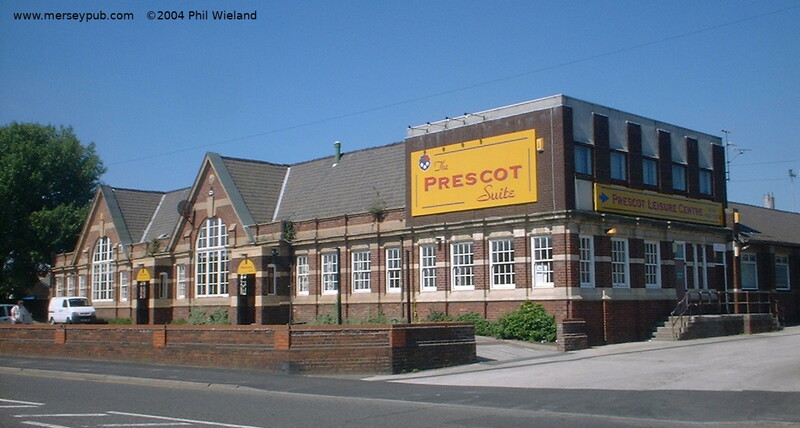 Opened in February 2018, this is a pleasant shop conversion serving quality ales. Bath Springs (John Kemble) In 1999 I visited the John Kemble, a two room boozer with a plain bar and a nice (but deserted) lounge. 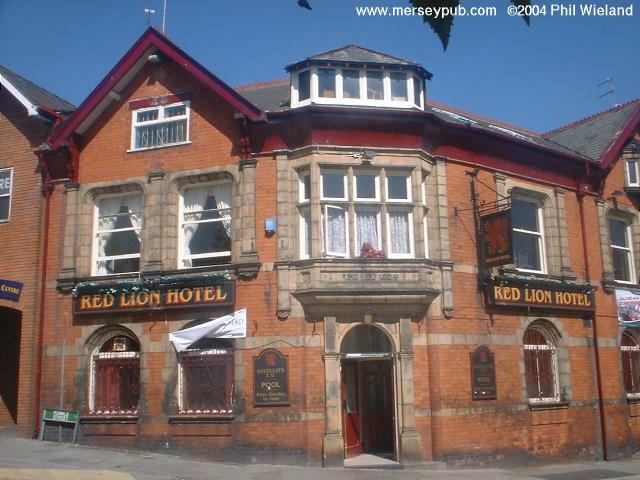 In 2003 it was very different, pleasantly decorated and knocked round with just one bar. Now closed. Clicks (Plough) This one bar pub with a nice layout with raised areas and a tiled floor has been badly neglected and was very tatty and grubby when I visited, although one area was being refurbished. LSTV. Now closed and converted to flats. This large old house was converted to a pub in the 1980s I think. A very nice interior and excellent ales. Crown The pleasant plain bar and a nice lounge are on different levels to match the gradient of the street in this clean and tidy boozer. Closed and converted to a a restaurant called the Crown of India. An enormous old house converted into a multi-room pub and nicely decorated. A function room is available upstairs. 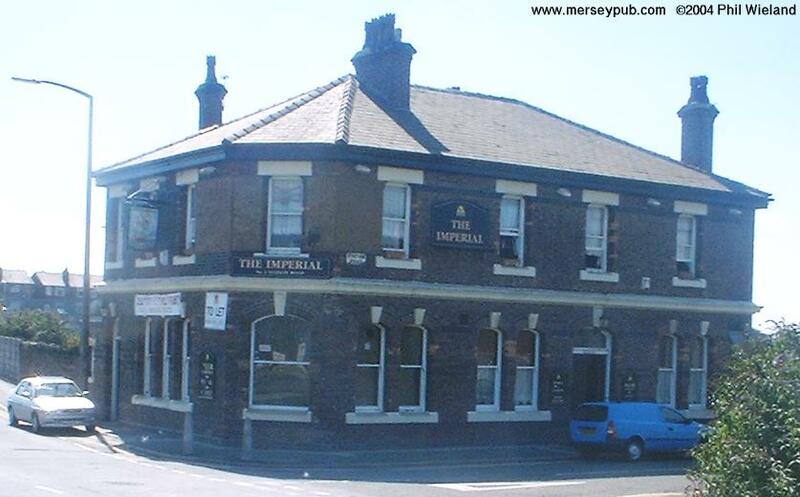 The Imperial was a plain corner house with two bars plus a lounge and a pool room standing in splendid isolation in a formerly built up area. It was kept clean and tidy but was perhaps a little tatty in places. There was a bar, a small lounge, plus another room served from a hatch in the corridor. It closed in 2006 and after being boarded up for some months it re-opened in 2007 as the Dog House. Not yet visited under the new name. Noted to be closed once again by December 2008. Eagle and Child This pleasant plain two bar pub spent a period closed in 1998. It has original leaded windows. The lounge side is nicely done out, with plain wood walls and a partially tiled floor, and is well looked after. LSTV. Don't leave your bike outside! Now closed. Fusileer (Kings Arms) This large two-sided pub which was built in 1978 on the site of the Kings Arms is looking a little threadbare in places. LSTV. An old-looking building containing a very nicely done pub, concentrating on its "Fayre and Square" food, and serving a decent pint of Bombardier. A plain, clean and tidy one bar pub, partly stone-floored. A little down market, perhaps, yet pleasant and well cared for. 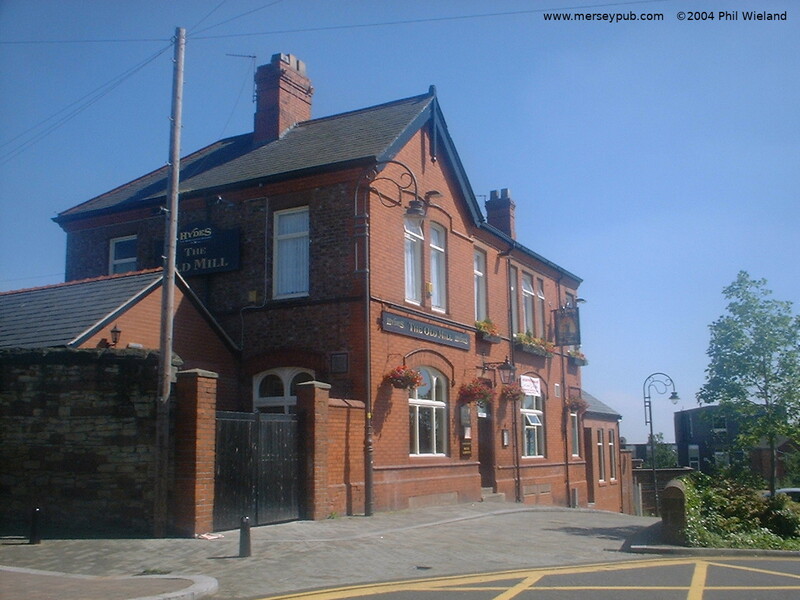 The Victoria was the roughest pub in Prescot, they tell me. Nelly Kelly's was a typical plastic "Irish" bar and my notebook recorded "Music too loud, barmaid deaf/stupid, short measures." I am pleased to report that the Old Mill is a total transformation: It has a very nicely done interior with partially knocked through seating and games areas. They serve an excellent pint of Hydes Bitter and a seasonal Hydes brew is also available. There's also a beer garden and a separate restaurant which was shut when I visited. A revisit in August 2004 found no real ale available, but returning in 2018 I found Hydes brews on handpump once again, and very good. Print House Wine Bar This up-market wine bar is nicely decorated with prices to match. The leather sofas are very comfortable. Late licence to midnight, Thursday, Friday and Saturday. 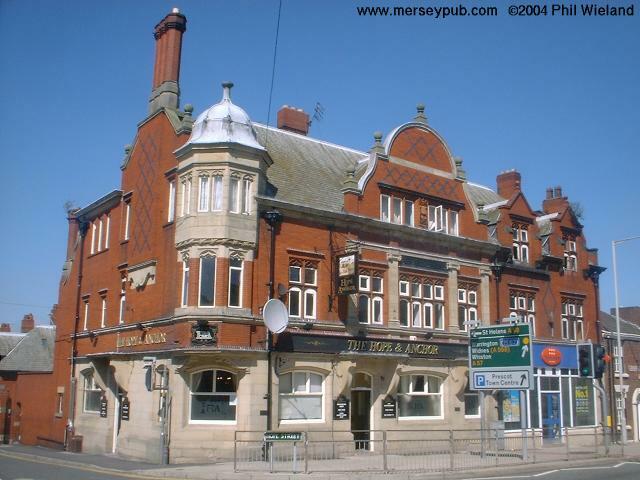 A traditional pub with two sides round the island bar plus a large front room. Some original features remain, including mosaic floor and stained glass windows. The rooms have odd shapes, to fit the street corner. A very pleasantly decorated two bar pub with LSTV. Spotless and well cared for. A beautiful traditional small local serving excellent beer. The two sided servery is between the bar side and a drinking corridor with a number of rooms off. Traditional compact two-sided well cared for local, wedged on a Saturday night, and quite popular at other times. A large up-market very nicely decorated building with small rooms partially knocked through, and original wooden panelling. The exterior is nice, with lots of hanging baskets. The beer was excellent, and the all day food looks good. Opened in December 2011, this large open Wetherspoon's has rather good modern decor.